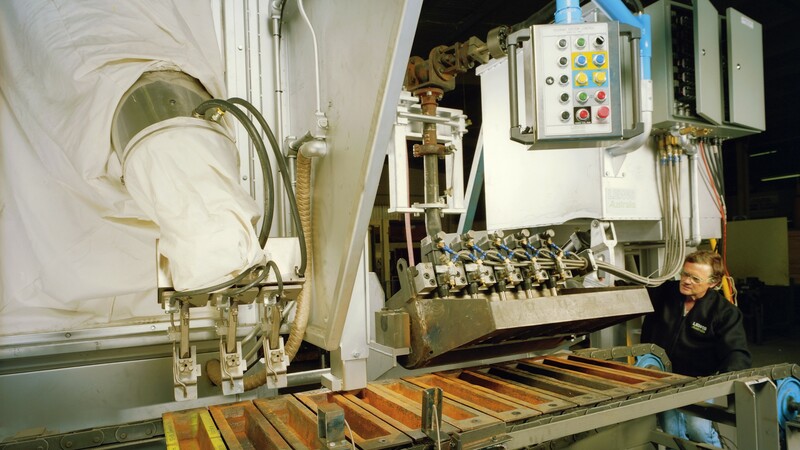 Consistently high ingot quality is achieved through automatic pouring control and robotic dross skimming. 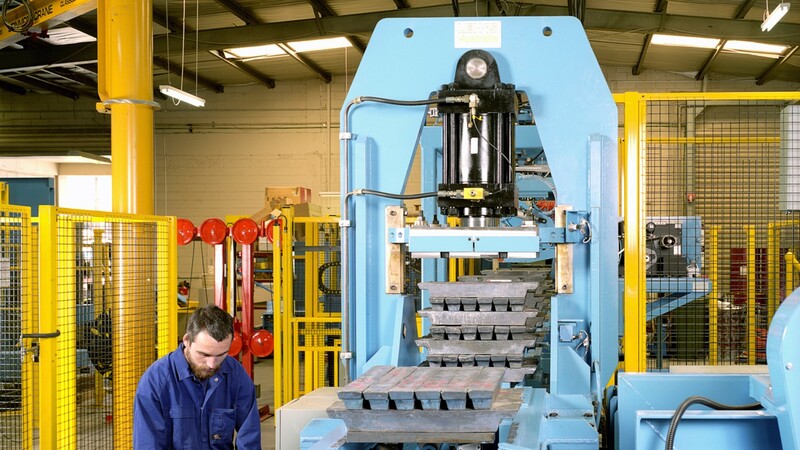 This provides the basis for tight regular stacks with minimum weight variation. Labour cost is reduced, Occupation Health and Safety is improved and a dross free ingot surface is maintained. 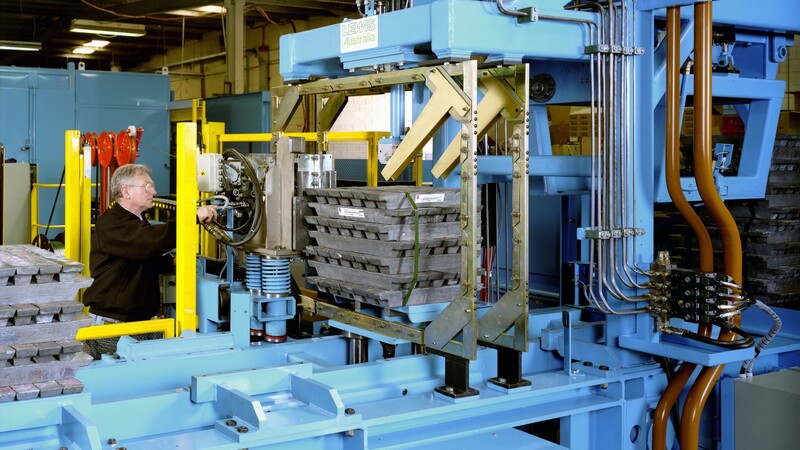 The stacks are built automatically by progressively pushing up layers of ingots from the assembly conveyor, rotating them 90º and depositing them on a pair of horizontal fixed support rails which form part of the walking beam conveyor. This action together with the inbuilt row squaring device and 60 Tonne stack press produces tight, square stacks of high visual quality. Pressed, strapped, weighed and labelled stacks sitting on the wharf awaiting delivery. 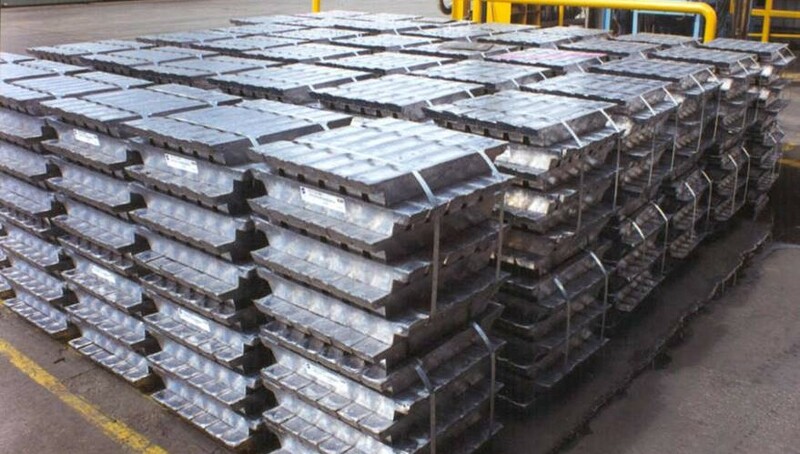 Accurate stack weights and dross free uniform ingots together form the world’s highest quality stacks.